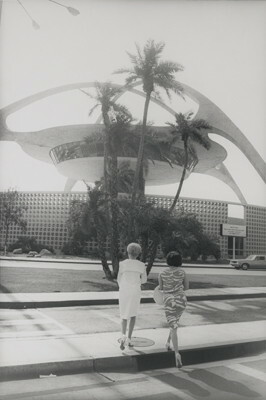 Los Angeles International Airport, 1964. Garry Winogrand (American, 1928 - 1984). American. Gelatin silver print. 35.6 x 27.9 cm (14 x 11 in.) © 1984 The Estate of Garry Winogrand. The J. Paul Getty Museum, Los Angeles. Los Angeles International Airport, 1964. Garry Winogrand (American, 1928 – 1984). American. Gelatin silver print. 35.6 x 27.9 cm (14 x 11 in.) © 1984 The Estate of Garry Winogrand. 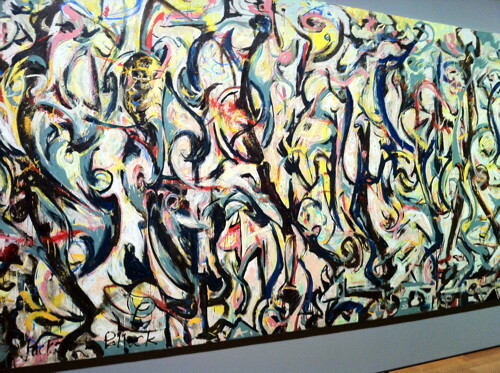 The J. Paul Getty Museum, Los Angeles. This year marks the 175th anniversary of the announcement of the invention of photography. To commemorate the occasion, the J. Paul Getty Museum’s Department of Photographs will be hosting a one-day symposium titled The View from Here: L.A. and Photography on Saturday, May 31 at the Getty Center. The symposium is free, but reservations are required and can be made by visiting the event website. Symposium participants include photographers Jo Ann Callis, John Divola, Catherine Opie, Stephen Shore, and James Welling, filmmaker and photography collector Jan de Bont, Los Angeles Times art critic Christopher Knight, curators Anne Wilkes Tucker and Jennifer Watts, as well as other distinguished speakers. A keynote lecture will be given by George Baker, associate professor of art history at the University of California, Los Angeles. The event is sponsored by the Getty Museum Photographs Council. The symposium will consider the role Los Angeles has played in the history of photography, focusing on the last several decades. Panels have been organized to address the tradition of photographic education across Southern California—stretching back to Robert Heinecken’s founding of the photography program at UCLA—as well as the ways in which Los Angeles has inspired and been represented in the work of numerous photographers. Influential Los Angeles area museums, collections, and exhibitions that relate to photography will also be a topic of discussion. The Getty Museum celebrated the 150th anniversary of photography with a symposium in 1989, publishing the papers the following year in Photography, Discovery and Invention: Papers Delivered at a Symposium Celebrating the Invention of Photography. “This year’s symposium allows us to continue the tradition of marking the anniversary. We have assembled an excellent group of speakers, each of whom brings a distinctive viewpoint regarding Los Angeles’ photographic legacy and the future of photography,” says Virginia Heckert, curator of photographs at the Getty Museum, who, together with assistant curator Amanda Maddox and a subcommittee of Getty Museum Photographs Council members, organized the symposium. Photography exhibitions on view at the Getty Center at the time of the symposium are A Royal Passion: Queen Victoria and Photography, Hiroshi Sugimoto: Past Tense, and In Focus: Ansel Adams. While all three exhibitions celebrate the rich history of the medium, A Royal Passion was conceived to acknowledge the anniversary of the invention of photography and the rise of the medium’s importance in the areas of documentation and art during Victoria’s six-decade reign. Established in 2005, the Getty Museum Photographs Council consists of a group of passionate collectors and donors who support the Getty Museum’s Department of Photographs. Funds from the Council assist the Museum with the acquisition of modern and contemporary photography. To date, the group has helped acquire for the Museum more than 250 works by a number of renowned photographers, including: Marco Breuer, John Chiara, Gregory Crewdson, Eileen Cowin, Simryn Gill, David Goldblatt, Anthony Hernandez, Candida Höfer, Pieter Hugo, John Humble, Mary Ellen Mark, Bill Owens, Masato Seto, Hiroshi Sugimoto, and Henry Wessel. Sign up for e-Getty here to receive free monthly highlights of events at the Getty Center and the Getty Villa via e-mail, or visit their home site for a complete calendar of public programs.